No one is a stranger to the fact that even though the economy is looking up, many are still struggling financially. At Lennar, we understand. That’s why we offer services like free credit counseling and hands-on New Home Consultants who are there to help you every step of the way. We know that all those extras, like buying a washer and dryer or fixing the little things that were wrong with the house before you moved in can add up. That’s why you’ll find that with Lennar homes, Everything’s Included and the price you see is the price you get. There are no mark-ups along the way. Plus, our homes are brand new. You won’t find any repairs to make. Just smooth sailing from the day you purchase your Lennar home until long after you move in. It’s called Total Lennar Care, or as we like to say, TLC. It’s a willingness our Associates have to do the extraordinary for our customers. Buying a home should be an exciting and rewarding event, not an unpleasant ordeal. If you weren’t already convinced, we’ve decided to make buying a Lennar home even better. 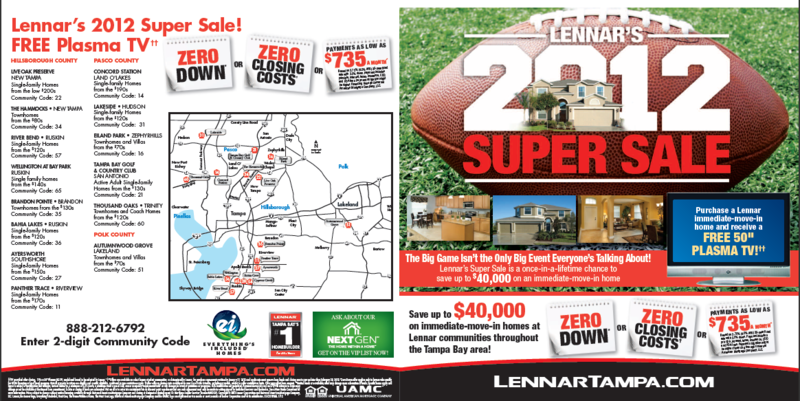 Ladies and gentlemen, Lennar’s 2012 Super Sale has arrived. Get this. Purchase an immediate-move-in home by January 31 and you can save up to $40,000! 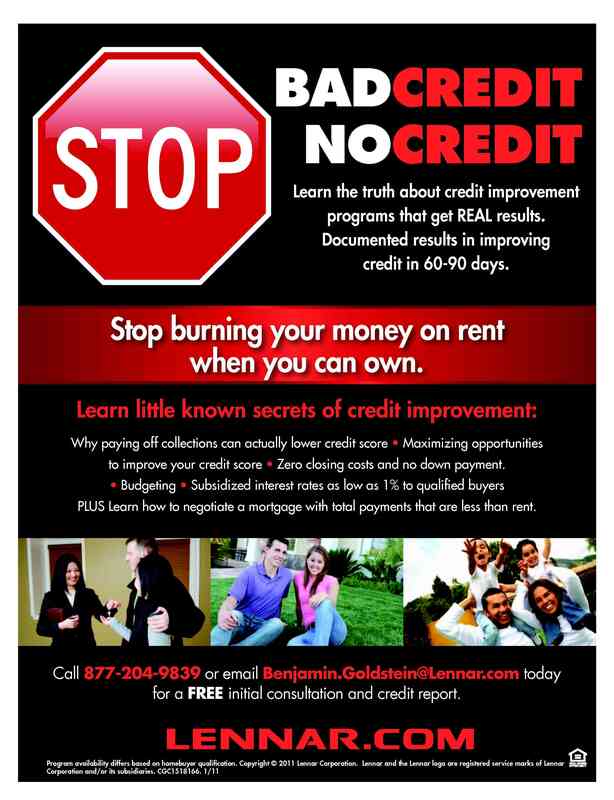 Pay zero down or zero closing costs or get payments as low as $735 a month. 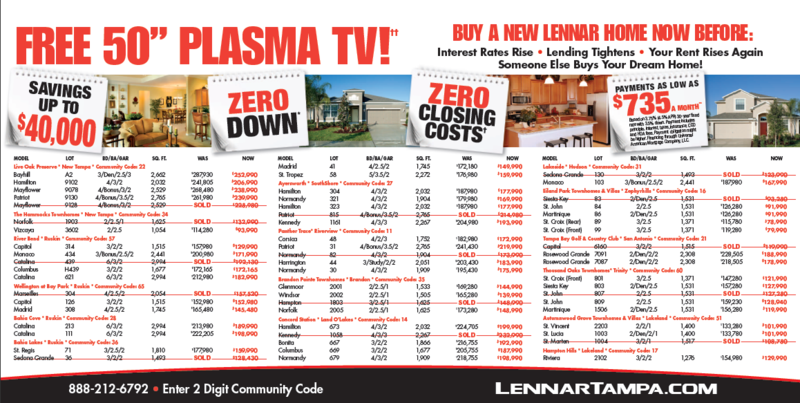 As if that wasn’t enough, with the purchase of a new Lennar home this week, you’ll get a FREE 50” plasma TV. Can’t you just see yourself throwing the greatest Super Bowl party of all time in your new Lennar home, huddled with all your closest friends around a 50” plasma? Yeah, we thought so. Don’t wait. Call your local Lennar New Home Consultant today at 888-212-6792 and enter the 2-digit community code found on our flyer below.